Ghousia Industrial & Engineering Trust, (GIET) was started during the year 1962. Its main aim is to promote and provide quality technical education at all levels to the student community in general and the rural youth in particular. Its cherished goal is to equip the learners with excellence and quality assured technical education. 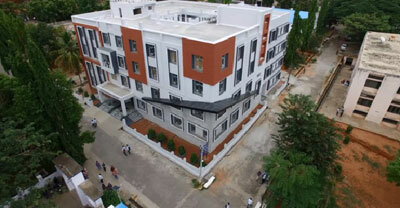 The Ghousia Industrial & Engineering Trust established the “Ghousia College of Engineering” in the year 1980 at Ramanagaram, a town which is 45 kms away from Bangalore on the Bangalore-Mysore highway. The focus of the trust has been to promote technical education at technician level, diploma level, degree level and postgraduate / research level for all sections of students of our country. The growth and success of GIET is due to the sacrifice of a large number of eminent, illustrious, dedicated and philanthropic members of the Board of Trustees who are all leaders in academics, research, industry and commerce.